Greetings from back at home! I am currently all cozied-up in my bed (that I missed so very much) whilst writing this blog post. My body is still adapting to the slow pace of my hometown after being in the city full of dreams and busy, ambitious people. After experiencing my first ever NYFW, I have returned with even more inspiration that I can't wait to share with all of you. As for now, here is something that I worked on before I left for the Big Apple. 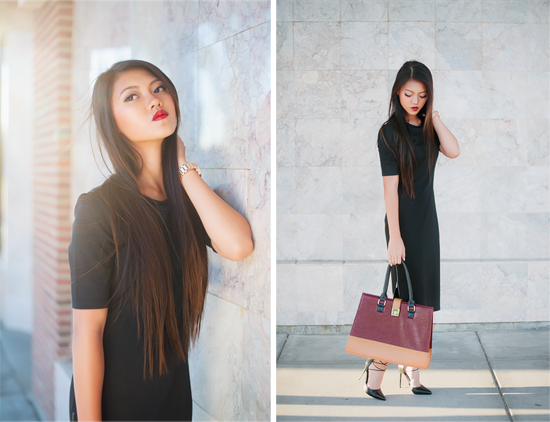 LuLu*s and I teamed-up to create three looks for the office. I guess you could say that I was already preparing for the big city itself with this project. As I roamed the streets of New York, I noticed businesswomen and fashionistas galore. The looks that I had put together portray the perfect balance between the two. The cut and texture of each piece of clothing are classics for the office, but the different colors and patterns are perfect touches for a more stylish demeanor. Love these looks! 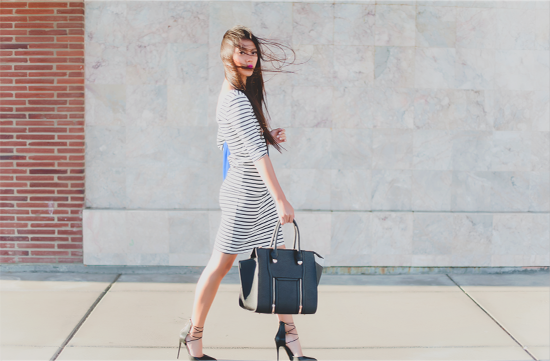 The stripes dress is my favorite piece!